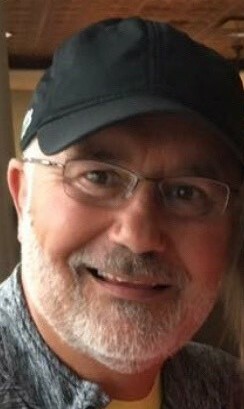 Matthew Charles Houle, known to many as “Coach”, age 57, of Gladstone, passed away unexpectedly Friday, November 9, 2018 at his home. He was born in Escanaba, Michigan to Irving C Houle and Gail (LaChapelle) Houle on February 15,1961, where he lived until he graduated in 1979. Matt married the love of his life, Salli (Snowaert) Houle on July 19, 1986, and they later welcomed a beautiful son, Ian Matthew. He entered a lifelong career as Athletic Director and Coach at Gladstone high school. Matt loved being part of the Gladstone Brave community and was a role model on and off the field. His motivation, energy and passion for Gladstone High and every student he met was second to none. Matt poured his heart and soul into the school that he believed in and was so committed to it as an athletic director, coach, mentor and assistant Vice Principal of the middle school. Prior to Gladstone School, Matt worked for the YMCA as Program Director, as well as the Executive Director of Big Brothers Big Sisters, in addition to the Specials Olympics of the Upper Peninsula where he made huge differences in the lives of many young people in Delta County. A natural social butterfly and life of the party, he made friendships everywhere he went and will be forever missed by family and thousands of friends. Always in a good mood, he understood better than most that time spent celebrating each moment with the people he loved was precious, especially all the little children in his life. Matt was the apple of their eye at all times. The moments he had were always full of love, laughter and pranks on full speed. He was an avid Packer and University of Michigan Wolverine fan and watched each game with such intensity. He loved to tinker with his antiques in the garage and build unique pieces that had sentimental value to everyone he made them for. He truly loved to live for his family and friends and his little dog Cricket. Matt was preceded in death by his father Irving C Houle. Family will receive friends Wednesday, November 14, 2018 from 3:00 until 8:00 PM at the Gladstone High School Auditorium. Vigil Prayers will conclude visitation at 8:00 PM at the Gladstone High School Auditorium. Mass of Christian Burial is scheduled for Thursday, November 15, 2018 at 11:00 AM at All Saints Catholic Church in Gladstone with Rev. Fr. Jamie Ziminski officiating. Memorials may be sent to the Special Olympics of Delta Country. The Skradski Family Funeral Homes of Delta County are assisting the Houle family. Salli and Ian we are so very very sorry to hear about Matt… many blessings and prayers sent your way. Matt, you were a special person. So sorry to hear of this. My condolences go out to you wife, son and family. May you Rest In Peace. You will be missed. Coach Houle played such an important role in my development as a young man. Whether it was on the field pushing me to give 110% or helping me land my first job as a Day Camp Counselor. His attitude was extremely positive and infectious. My heart goes out to his family and friends during this difficult time. I am lucky to have had the opportunity to come across such a shining star during my time growing up in Gladstone. Coach Houle will be missed, but not forgotten. His impact and legacy will live on. My deepest sympathy to Matt’s family. Coach Houle will be greatly missed by many!! He has touched a lot of lives and many were very blessed to have known him!! Fly with the Angels Coach!! Salli and Ian I so sorry to hear about your loss of a husband and father. My thoughts and prayers are with Matt’s family and friends. Matt was such a loving & caring man,so full of life. I worked with Matt at Gladstone High School for many years. We have lost a true gentleman. Rest in peace Matt. My sincere condolences to Salli and Ian and all of Matt’s family. You were such an amazing part of our community and inspired so many! Thank you for being sometimes the only happy smiling face a student saw in a day. Thank you for spreading your positivity with every stroll down the hall. And most of all thank you for being a friend and mentor to all you encountered. Hubba Hubba Coach Houle we will miss you. I have never met a happier person. He was so good to kids. The world is a better place because he was in it. Terribly saddened by this news. Coach Houle was a huge part of that community. I was only there for a few years but remember him well. Definitely had a positive impact on my life. He is somebody I would have liked to have in my kid’s lives if it would have been possible. This is a tremendous loss to our community. I grew up with Matt and Margo, and they were always an example of what it is to have strong values and kindness to all. My children got to know Matt through sports. Even though they wore orange and black, Matt always had a hug and words of encouragement for them. His love of kids stretched far across school colors! Love and prayers to all families! I was privileged to see Matt’s love and passion for young people, especially those in the Gladstone Schools, played out over the years. As a school board member and fellow parent of a student in the class of 2012, I shared many laughs, hugs, and a few tears with Matt. One of my fondest memories of Matt was seeing him welcoming Gladstone graduates as they approached the stage to receive their diplomas. Almost every graduate got a hug, and I could see their love and appreciation for Matt in their faces as they walked to the stage. Matt, you touched so many lives in a positive way as a coach, mentor, friend, activities director and all-around awesome guy! And you gave the best hugs! I can only imagine the epic hug you and Gwen shared when she saw you in Heaven. You will be deeply missed, and will be remembered fondly by so many. Ian and Salli, my thoughts and prayers are with you. Thoughts and prayers. May the prayers of this community bring peace to the family. What can I say about this great man, have known him since 4th grade at Holy Name. He was the best friend anyone could ever want, more than a few of the great memories include Matt. I will never forget this man and what he has done for me in my life, it won’t be the same. To his family my prayers are with you, spent many a Sunday breakfast with you at your house, always made me like a pet of the family, and Salli you were the luckiest of us all, thank you for sharing this great man with all of us. Love u Matt!! I’m heartbroken with grief, but yet I smile when I think of Matt. Very few of us are so easy to love. Everyone tribute I read said the same thing. We all feel the loss of our true friend. I looked up the definition of a true friend and it sure sounded like our Matt. I will miss you very much, but I’m so happy to have called you a friend. A true friend to himself and his own free expression, a shining example and presence to all, and yet always just true to himself. It is very similar to ‘If you truly love someone set them free’. … He remains natural, spontaneous and impartial, friend to all. Shocking news! I worked with him at the YMCA while studying at Bay College and was always impressed by the way he treated everyone, especially strangers. His upbeat personality was an inspiration. Salli I am so sorry and my heart goes out to you and your family. I know God has his arms wrapped around you along with Matt and his dad. God is very special in your family and he will continue to take care of you. Salli and Ian, so deeply saddened by the loss of Matt. He was a true gift to our community and will be miss by everyone. Sending prayers. So sorry to your family and the community for the loss of Matt. He will be missed by everyone! Salli and Ian, we are saddened by the passing of Matt. He was Scott’s hero when he started Special Olympics, encouraging him in the sports that were offered. And when you were expecting Ian, his whole face lit up with joy and anticipation. What a wonderful man,God has welcomed him with open arms saying “well done my son”. Gods blessings during this time and our love and prayers for strength. My condolences to Salli, Ian and family. I will never forget the Packer Backer parties Mark and Kim brought me to years ago at your house. Such fond memories! Sending love and prayers to you and your family during this difficult time. Matt was a true mentor and leader for so many students over the years. He was such a positive influence in my life as a teenager. He demonstrated such passion, leadership and dedication to his students he taught or coached. I am thankful that I was one of them! Prayers to you and your family. Matt was one of my “all time” favorite wrestlers. Later we became opposing coaches and I admired and respected his passion and compassion for those he coached. It is so trite…..but Matt was one of those special coaches/teachers/ persons who truly did make a difference in peoples lives because he truly cared. Huba huba Matt. You will be missed. During my sons senior year of high school I met with Mr. Houle in his office. My son was going down the wrong path and in need of a mentor. I am forever grateful to Mr. Houle, Mr. Flo, and Mr. Downey. Once I talked to Mr. Houle he put a plan into action. My sons grades came back up and he proceeded to break a track record with Mr. Houles guidance. Mr. Houle was a person I’ve always looked up to after that. He touched our lives with respect, love and understanding. Rest In Peace Mr. Houle! The first time I met you was at YMCA summer camp. I was 7 at the time, but even at 7, I still remember you lighting up the room when you walked in. We played Capture the Flag every week and I remember you yelling words of encouragement from the sideline during our games. Your passion and enthusiasm were contagious. I looked forward to those games knowing that you’d be there to cheer us on. A couple of years later, I was at the Gladstone Football Field with my Dad. He was wiring the new concession stand, and I was throwing a football around to whoever would play catch with me. You were the JV football coach at the time and walked up to me and asked me to be the equipment manager for the team. I accepted immediately. I remember being smitten that I’d get to hang out with high school kids every day and watch them play football. We had an up and down season that year. We were up big on Escanaba at halftime, but they came back in the second half and beat us. After the game, I remember you telling the players how proud you were of them. They had given everything they had, but still came up short. You said that life was like that – sometimes you give everything you have, and still come up short, but it’s how you respond to the adversity that matters. I was 9 at the time, but those words still resonate with me today. Fast forward a few years later, and I was fortunate enough to have you as a coach. You were my track coach my freshman-junior year. I remember having a blast at all of the meets, lots of school bus shenanigans on the way to/from meets, and epic games of lawn darts at your annual cookout prior to UP Finals. You were also an assistant coach on the varsity football team when I was a junior. We were terrible that year. We went into Homecoming week at 0-4 or 0-5. We thought we were bad, and the entire school thought we were bad. I walked into the pep rally the Friday afternoon before the game expecting to get beat. Then you got up and gave what is still to this day the best speech I’ve ever witnessed. I honestly don’t remember specifically what you said. What still stands out to me is that you were so motivating and passionate that everyone left that gym thinking we were going to win that game. I’ve never witnessed anything like it again to this day. Thank you for being such a great role model to so many kids. The world is a better place for having you in it. You are gone way too soon, but your memory and legacy will live on. My deepest sympathy is with you and your family, Salli. Matt was an exception person, he loved people, and only thought about the good in them. My thoughts and prayers are with you during these difficult times. We are better for having known you, Matt! We could not have asked for a better neighbor and example for our girls, after all it takes a village. We will miss you! Love and prayers, Sally and Ian. I grew up with the Houle kids as part of the “9th street gang” in Escanaba…and am the same age as Matt’s brother John. Who can forget the sleepovers in the “backhouse” with Irv’s “night time ghost stories”! Matt was “too young” to hang out with the “big guys”, but always wanted to! Since those days, not living in Esky since the 1970’s, I haven’t seen Matt very much over the years…but always heard/was aware of what a vital part of the Escanaba and Gladstone communities he was becoming….and became. On occasion, I made it up for Esky/Gladstone games to watch my nephews play, and anytime when coming across Matt, always got the “hey Vano”! That ever present smile and enthusiasm of Matt’s was really something to experience….and I could clearly see how loved he was in Gladstone seeing so many people/students yelling “hi!” as he strolled the sidelines or gym. My heartfelt thoughts, prayers, and sympathy goes out to Salli, Ian and the entire Houle family. He will surely be missed, very much. As said many times, so many students touched, and a legacy left behind. He was truly God’s gift to many. Salli and Ian you are in my thoughts and prayers! Matt was a great husband,father,uncle and friend! He will be truly missed! You were the loves of his life. Family, Faith, School, Track… that was the Credo. He lived it. He instilled it in all of his student athletes. You will both be in my prayers. You were the father to me when I needed one the most. Your encouragement, your passion and your commitment were infectious. I was likely one of the least talented on your team yet you made me feel like I was integral to the team’s success. Being a volunteer coach for you meant understanding that you had to be ferociously committed and fully optomistic towards your athletes. Whether they were the star or the slowest guy, you taught me each person needed help. You were the most competitive person I knew, but at the end of the day the credo remained… Family, Faith, School, Track. Live in the moment, but at the end of the day you have to come back to what things truly matter. I am glad I was able to tell you what an impact you had on my path in life but every year I grow older, the values you instilled become more important to me. The stories from Nick, to Herbie, to Casey… I’m sure there are hundreds of stories of triumph over adversity, of heart over strength and others of love that you’ve shared with others and thousands that will go unheard. Always your friend and always my hero. Hubba Hubba. So sorry for your loss, Matt was an awesome person and made everyone smile with his infectious smile. He will be missed by us and everyone that new him. Prayers go out to you and your family. One of the best men I’ve ever known. Deepest condolences to the Houle Family. Godspeed my friend. I knew Matt from his first job in Gladstone until the present. I was a Gladstone school bus driver and raised all my children here. We all admired and loved him. My sons all had him for football, wrestling and track. My daughters also grew up around him. Whenever we saw him anywhere you always knew hugs were in order. He was that kind of guy. Even my grandson Jack and his friend Mattie who lived in Matt’s neighborhood would wait on the curb until Coach would come out to play with them. The boys were probably around four and five. We all have loving stories and memories with Coach. My heart goes out to his family. Thanks for sharing him with all of us. ‘Coach’ Matt Houle was the embodiment of what it meant to be a Brave. Whether you were the captain of the football team or the last seat in concert band, Mr. Houle always greeted you with a smile and, when it seemed like you needed it the most, an impassioned and fiery pep talk. He may have been the Athletic Director, but no matter what sport, club or activity you were in ‘Coach’ was always there to fire everyone up and get the most out of his students. Most importantly, he taught his students to do things the right way, with the utmost respect and dignity for others, reminding us everyday that “It’s a GREAT day to be a Brave!”. My deepest sympathies to the family. As a basketball referee, Matt always treated me & my partners with respect. I always looked forward to refereeing in Gladstone. Always enjoyed the candy bars he gave us after the game. He will be missed by many. Through his devotion to the school and community, I know of no one who stood a better example of loving a neighbor as oneself. You are gonna be missed by so many … and to think i just saw you a couple weeks ago you were my reason to keep going you always incouraged us to do better you believed in all of your students. You inspired so many of us to strive to do their best. i loved seeing your smileing face every day. When you retired it was sad … its even more sad now all we have is pictures to look at. For anyone who didnt know you I feel bad they dont know how great of a person you are. Everyone who did know you is lucky because of your such a great person … to all of Matthews family and friends I am very sorry for your loss . He was such an amazing person. ‘Coach’ was always there to fire everyone up and get the most out of his students. Most importantly, he taught his students to do things the right way, with the utmost respect and dignity for others, reminding us everyday that “It’s a GREAT day to be a Brave!”.One thing to remeber Matthew. Our thoughts and prayers go out to the Houle family, Mr. Houle was a amazing person and my girls (Megan & Sidney) really enjoyed having him at GHS, he was a very kind man and touch so many peoples lives and will be missed by many. Again, sorry for this terrible loss. I had the pleasure of meeting Matt earlier this spring while I was a visitor at the Antique shop where he spent some time helping out. We hit it off right away and our love of sports was easy to see as we talked during my visits. What really connected us were the conversations we had about our softball playing days, many many years ago. He actually recalled the team I played for and how he remembered some of the times his team played against mine. We even jokingly autographed softballs for each other. Matt was as genuine a person as I have ever come across. Always willing to joke and always a smile on his face. Our friendship was short, but his smile and friendliness will always be a part of my memory going forward. It will not be the same when I visit the shop. But I know that Matt will be there in spirit. I feel truly blessed to have known him and call him my friend. My heart aches for the Houle family and you are in my thoughts and prayers. R.I.P. my friend. Thank you for your kindness. Matt was such a special person, met him way back in high school and even then he always had a smile and a kind word. If you were having a bad day, he could brighten up the sky with his smile! He will be greatly missed. Man, I sure loved you and stopping by your house to tell/listen to stories (not many can hold a candle to you there), smoke a cigar and just hang out. Coming back to visit after graduation was an indicator of the kind of man you were…people just wanted to be around you. Your smile, laugh, loving kicks in the rear, go-to phrases were uplifting to all. Not many could make track fun, but you certainly did. I was hunting Friday when a friend texted me the sad news, I was tearing up thinking about all of our good times and the deer were able to walk all around at will, with nothing to fear, that afternoon. Coach, you will be missed my friend! I Love You Man! Salli & Ian, I’m so sorry for your loss. My prayers are with you for comfort and peace that only the Lord can provide. Sally, Ian, I am so sorry to see this. Even though we had grown apart since we moved I totally enjoyed seeing Matt and you guys any chance we got. I hope you can find some peace and comfort in all of this. I won’t be able to make the visitation or service, I’m sorry. You will always be in our prayers and thoughts. Whoever said always in a good mood never has seen him while the Packers are losing. What a huge blow to the community and everyone he’s touched through his life. I’ll never forget him diving in front of the TV during one of our Packer Pal Parties, him rubbing his hands together quick in excitement while his rings clicked, cooking brats at 1 in the morning at halftime of the Packers Chiefs preseason game that was held in Japan along with many more times with him. Will be missed where words can’t even describe. My thoughts are with you Salli and Ian as well as those from the rest of my family. I too was sorry to hear of Matt’s passing. He was a wonderful man who all of us in athletics could look up to. He was very well organized and always aware of the smaller details that made athletics better for all. He had a special relationship with the many athletes at his school and held them to higher standards. It was important to him that they represented their school and community in a positive manner. I had the opportunity to officiate for Gladstone a number of years while Matt was the Athletic Director and we were always treated with respect and first class. I can honestly say that I hope to be an Athletic Director for Munising as Matt was for Gladstone! I can only imagine how many late nights there where waiting for Matt to come home after a game. He has left a void that may never be filled. Take strength in the fact you where closest to a remarkable human being. So sorry for your loss Salli and Ian and the Houle family, what a wonderful and happy go lucky person, will never forget all those Summer’s playing softball. I knew Matt way back in high school, as a matter of fact we dated for a year or so. He was an awesome boyfriend, kind, courteous, honest. He was president of our class and he took that job very seriously. It was the year we needed the millage to pass or our sports program would be cut. He worked his tail off to get voters to pass that mileage. He went door to door talking to people about the importance of sports in schools. As I read about his hard work and tenacity through out his life, none of it surprises me, that was just the way Matt was, a super person with a drive like no other. My heart breaks for his family, and I pray that they can get through this time of sadness and shock. I ran into Matt about a year ago at an antique shop and I got one of those Matt Houle hugs. He sure did make a difference and will be truly missed. Matt welcomed us into his house with so much warmth, that we felt we were already part of his family. He was so thoughtful and generous. We are so sad that Maxime will never meet his American ‘uncle’. Our thoughts are with Sally, Ian, Peter and Mark and the Houle family. Matt was a remarkable human being who woke up every morning and accomplished what many of us only strive to do. He found a way to boost up all kids, regardless of academic standing or athletic prowess. He had a simple formula of love and attention. Mark and I are so grateful that our children were able to attend school during his time at Gladstone High. His positive influence is immeasurable and will last generations. Sincere condolences to the Houle family. All of us at the YMCA were deeply saddened to hear Matt had passed. Such a great guy and totally dedicated to kids! An important part of our history. He helped make the Y what it is today. A close friend to me, we will all miss him and his positive energy for everyone he touched. The world lost a great inspiring man. I’m blessed to have known him and work for him. He touched my life in many ways and was always there to listen and make sure I was ok. For days in school he was the best athletic director anyone could ask for, walking into school with such a positive smiling inspiring person. I remember skipping class with friends just to go sit in his office and talk. Once a brave always a brave. Hubba hubba-houle. You will always be in my heart and memories. Prayers go to Sally and Ian. I am shocked and saddened to hear of Matt’s passing. I am not shocked to see all of the wonderful tributes to him. I was a classmate of Matt and Margo, and they were always so good and kind. I am so sorry this has happened. Margo and family, there are no words to help you through this, and I know the pain will be with you forever, but read and re-read all of these tributes and remember he will be with you always. A man like Matt will forever take care of his family if you let him. And that is a true gift. Matt was the best. I have very fond memories of him being my AD in high school as an athlete. I have even fonder memories of him being my AD as a teacher and coach, later on as a friend and mentor. He was there for me on many occasions in my life. There were times he helped me when others would not or could not. He had a way of understanding what you needed and was never shy to help. His family and Irv were there for my family, specifically my wife Kristi and Mother in Law Sandy, on many occasions throughout the years as well. His smile, laugh, jokes, inspirational verses, motivational speeches, and comforting condolences were always well timed and on point. The World, our schools and communities, our families, and our lives were all better because he was in them. Now that he is gone there is certainly a hole that exists, that maybe can only be filled by the wonderful memories and experiences he gave to us. My heart aches for Salli and Ian. We wish you peace and strength going forward. My family is very sorry that we cannot be there to give you hugs in person. Please know that we love you and will be there in spirit. Hubba Hubba. It’s been some 40 years or so since I’ve seen Matt. He was a good young man and I’m sure he turned out to be a great man. My condolences to your family. Very sad to hear about the passing of Coach Houle. He was a true role model and an inspiration for everyone who had the good fortune to spend time with him or be coached by him. He was also an amazing ambassador of Gladstone Sports and the community. I felt fortunate to have him as my coach on the football team, and after having him as my coach my Junior year in football I decided that I would join Track just to spend more time with him. His spirit, motivation, and warmth made him a truly special person that will definitely be missed. Dan and I were stunned to learn of Matt’s death. He was one in a million. Always an enthusiastic guy with a big smile and warm heart. We are so very sorry for your loss. Mr. Houle, you will be very missed. You helped me through a lot of hard times in my life, thank you for being there for everyone at GHS & GJHS/GMS. Thank you for being at every sporting event we’ve had, your support was astounding and you were always motivated. We all love you and will miss you dearly, you will always be apart of the Gladstone Area School crew. Forever and always, rest easy and rest in peace. Mr. Houle, you will be very missed. You helped me through a lot of hard times in my life, thank you for being there for everyone at GHS & GJHS/GMS. Thank you for being at every sporting event we’ve had, your support was astounding and you were always motivated. We all love you and will miss you dearly, you will always be apart of the Gladstone Area School crew. Forever and always, rest easy and rest in peace. Sending love and prayers to all family and friends for peaceful healing in this hard moment in time. Matt, my twin, my brother. There are not enough numbers to count the pieces that my heart has broken into. I don’t know how to get through another day but I will somehow. Please say hi to dad. Brian and I will be there for Salli and Ian. I love ya baby, twin power and hubba hubba. Thank you for all you did for me. Everyday I saw you, you had a big smile. Both Trevin and I miss you, love you and thank you for believing in us when no one else did.